Interested in learning about drone lawsuits? I have compiled the various drone lawsuits/litigation/prosecutions into the list below. There has been a wide range of drone-related cases in the last couple of years ranging from flamethrowers mounted on drones to a drone crashing into a wedding guest. I’m going to refer them collectively as drone lawsuits. The drone lawsuits list below is broken up into Federal courts, Federal administrative courts (e.g. NTSB), and then state courts. Note that for criminal cases, I ONLY included cases where the prosecutor has chosen to file charges. There are many more individuals who have been arrested for flying a drone but the prosecutors for whatever reason did not choose to file charges. I did not include any drug transportation or prison-drop related prosecutions since those really aren’t drone cases but just drug or contraband cases. Notice: I try to keep this drone lawsuits list up to date. This page MIGHT not be up to date with rulings. Think of this page more of a starting point to research further into the final outcomes. If you are a person who has a drone-related mater outside of Florida, but you want to work with me, hire a local attorney in your state and tell them to contact me. If you are an attorney and need my help for a drone-related matter, please contact me. Who in the Drone Industry is Getting Sued? I know. Most of the criminal cases tend to be prosecuted under the state law equivalent of careless and reckless endangerment or something along those lines. The other batch of prosecutions has to do with violations of exporting technology associated with military drones. DJI’s lawsuits involve them being on the receiving end of a class action or DJI being the plaintiff in a patent infringement lawsuit. Then there is everything else. The civil drone lawsuits are all over the place (an Equal Protection Clause challenge against a state drone law, injured people suing drone flyers, products liability, breach of contract, etc.). John Taylor v. FAA II (4th case)- Adjudicated. John Taylor v. FAA I (Really 3 cases. Court consolidated them. ) – Adjudicated. Taylor beat the FAA. D.C. Circuit held the drone registration rules were illegally created. Keep in mind the National Defense Authorization Act of 2017 overruled this case. Tech Freedom v. FAA – Voluntarily dismissed because this missed statutory time to file. They joined as an amicus brief to the Taylor I set of cases. EPIC v. FAA II (2016) – Adjudicated. UAS AMERICA FUND, LLC, SKYPAN INTERNATIONAL INC., PETER SACHS (individually and d/b/a Drone Pilots Association), and FPV MANUALS, LLC (d/b/a GetFPV and Lumenier), – This case has been in abeyance. The plaintiffs were challenging the FAA’s 2014 model aircraft interpretation as violating Section 336 of the FAA Modernization and Reform Act of 2012. Academy of Model Aeronautics v. FAA – This case has been in abeyance since 2014. Same thing as above. EPIC v. FAA I (2015) – Dismissed. Texas Equusearch v. FAA – Dismissed by the court because an email from a FAA investigator was not the FAA’s final consummation on the issue. Autel Robotics USA LLC v. DJI -patent infringement action case in US District Court for the Southern District of New York. Complaint here. EPIC v. FAA, Drone Advisory Committee RTCA, & more. 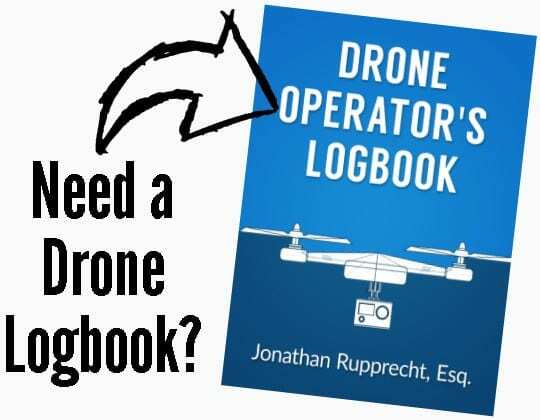 – Lawsuit under the Administrative Procedures Act and the Federal Advisory Committee Act to obtain records from the the Drone Advisory Committee. EPIC v. Department of Transportation– EPIC is doing a lawsuit of the Freedom of Information Act to obtain documents from the Unmanned Aircraft System Registration Task Force. Robert Taylor v. FAA – Class action lawsuit over the registration regulations currently being litigated in the D.C. Circuit seeking around $840 million in damages and fees. Dismissed. Singer v. City of Newton – Adjudicated. Federal District Court of Massachusetts struck down the local drone ordinance as being unconstitutional. It was appealed by the City to the appeals court but the City asked for the case to be dismissed which the court granted. FAA v. Haughwout case (the kid with the gun and the drone) is currently being litigated a federal district court in Connecticut and the only order was that the FAA’s subpoena powers were very broad. Flores v. State of Texas – Currently being litigated in the Southern Federal District Court of Texas on whether the Texas state drone law violates the Equal Protection Clause. FAA v. Skypan case in the federal North District Court of Illinois. DJI v. Yuneec – DJI is suing Yuneec alleging patent infringement. DJI v. Autel – DJI files a patent infringment lawsuit. Garmin v. uAvionix- Garmin filed suit against uAvionix for patent infringement. Bard College’s Center for the Study of the Drone published an article detailing multiple prosecutions under ITAR. Hobbico is doing Chapter 11 banktupcy. Philadelphia Indemnity Insurance Company v. Hollycal Production, Inc. et al. Filed April 16, 2018 in California Central District Court. Holly Cal Productions was hired to film a wedding which resulted in a patron being hit in the eye and going blind. The lawsuit is surrounding the insurance policy’s aircraft exclusion. QFO Labs, Inc. v. Parrot, Inc., Parrot S.A., and Parrot Drones, S.A.S., – QFO sued Parrot for patent infringement. UNITED STATES OF AMERICA v. CORVUS EYE PRODUCTIONS LLC – FAA was investigating Corvus and the owner. They sent a subpoena to the owner of Corvus. One thing led to another and the FAA worked with a U.S. Attorney to request a federal judge to order Corvus and owner to comply with the subpoena. The judge ordered the subpoena because the owner defaulted. ADVANCED AEROSPACE TECHNOLOGIES, INC. v. THE UNITED STATES, THE BOEING COMPANY, and INSITU, INC – Patent infringement case. In the matter of Space-Crafting, Inc. – Before DOT Administrative Law Judge. FAA v. Pirker case that was all over the news was appealed only up to the full National Transportation and Safety Board (NTSB). 23 FAA enforcement actions. I have an entire article on these. FAA v. Mical Caterina – FAA started investigating Mical for a flight. FAA subpoened him. Mical sent in some information. FAA prosecuted Mical for $55,000. FAA v. Ralph Rebaya– FAA revoked the private pilot certificate of Rebaya. At least 70 enforcement actions since 2014. A senior attorney from the FAA had this in this slide from the 2018 FAA Symposium. 49 as evidenced from the GAO report on page 32. Autel filed a complaint against DJI in the Federal International Trade Commission. on August 30, 2018. FCC went after Hobbyking with a 2.8 million fine for selling all sorts of illegal products. ARRL appears to have informed the FCC on these issues. Lumenier Holdco LLC f/k/a FPV Manuals LLC settled with the FCC with a $180, 000 fine along with some actions they will take because they sold non-compliant equipment. FCC went after Horizon Hobby. They ended up settling for $35,000. Other: (Because I don’t know anything else). Department of Transportation has been doing some investigations on some UAS operators. The DOT IG’s office testified, “Since 2016, our Office of Investigations has opened 23 cases involving illegal operation of UAS. However, 10 of these cases were closed in the preliminary complaint phase, and 9 were declined for prosecution for various reasons, such as the inability to prove criminal intent and a lack of prior prosecutions.” 23-10-9= 4 still open? Mark Anderson v. Aerovironment Inc., Et. Al. – Wrongful termination case in Los Angeles Superior Court where Anderson he was wrongfully terminated because the defendant transported at least one drone with a live bomb on a Delta airlines flight. Bloomberg article on it. In-depth investor report on it. Darshan Kamboj v. Hollycal Productions, et al. San Bernardino County Superior Court Case Number CIVDS1714762. This is the underlying action with the Philadelphia Indemnity Insurance Company v. Hollycal Production, Inc. et al. case. Basically, Holly Cal Productions was doing a wedding shoot and the drone flew too low and struck a lady in the eye which resulted in blindness. Boustred & Horizon Hobby v. Align Corporation – On appeal, court affirmed lower courts judgment denying Align’s motion to dismiss the case against them. Align is a Taiwanese company who sells model aircraft through Horizon Hobby. Boustred lost an eye when the toy helicopter broke and is now suing Align and Horizon Hobby under strict product liability. The appeals court affirmed the trial courts ruling that personal jurisdiction can be held over a Taiwanese company. Richard T. Jacky and Tamsin Jacky v. Parrot, S.A. et al. – Products liability lawsuit where a guy injured his eye with a Parrot rolling spider drone. Pedro Rivera, v. Brian Foley, Edward Yergeau, & Hartford Police Department– Plaintiff works for a TV station and responded to a police scene while NOT working (his own free time). Plaintiff flew his drone and the police officer responded to the plaintiff’s flight. Police officer called Plaintiff’s employer and made suggestions that Plaintiff should be disciplined to maintain goodwill. Plaintiff was suspended for a week. Plaintiff sued claiming his constitutional rights were violated. Prioria Robotics, Inc. v Condor Aerial, LLC – Prioria (a drone manufacturer) sued for breach of contract to get Condor to pay $90,000+ they believed Condor owed them. Condor counterclaimed for conversion, tortious interference, civil theft, trade secret violations, breach of contract, deceptive trade practices, etc. The case went to trial and a jury returned a verdict that Condor suffered $1.3 million in damages. Commonwealth of Kentucky v. Meredith – The famous “drone slayer” case where Meredith shot down the drone. He was prosecuted for criminal mischief and wanton endangerment. The judge dismissed the case saying, “He had a right to shoot at this drone, and I’m gonna dismiss this charge[. ]” Note: there is also a federal district court case associated with this case. Nourmand v. Caesar’s Palace, Great Lakes Drone Company, Matthew Quinn. A drone crashed into a lady during a drone night show at Caesar’s Palace in Las Vegas. Ellis v. Searles Castle – Billcliff, the groom, was getting married at Searles Castle. He was flying a drone. He went to go dance and put his drone down. Someone flew the drone and crashed it into a wedding guest, Ellis. She is now suing Billcliff and also the Searles Castle for damages. Eaton, the other girl injured along with Ellis, is also suing Billcliff and Searles Castles. Russel Percenti shot down a drone and was prosecuted for possession of a weapon for an unlawful purpose and criminal mischief. State of New Mexico v. Norman Davis – while not directly a drone case, the appeals and New Mexico court did discuss drones and the 4th Amendment. State v. Beesmer – Adjudicated not guilty. Flew his drone outside a hospital and was charged with unlawful surveillance. Held not guilty by jury. State v. Daniel Verley – New York City teacher crashed his drone into U.S. Open tennis match. He was prosecuted. They entered a plea deal to do community service. State v. Riddle – Guy crashed into the Empire State Building. Was prosecuted. Pleaded guilty to disorderly conduct. He has to pay a $200 fine and complete two days of community service. State v. Turgeon – Adjudicated not guilty. Criminal prosecution for flying a drone allegedly near an airplane near the Dakota Pipeline protests. He was charged with a felony and two misdemeanors. State v. Dewey – Criminal prosecution for stalking. Dewey was flying a drone during the Dakota Pipeline protests. State v. Brossart – Not really a drone case, but a predator drone was used to track down a man. The crazy part is this was in 2012! This is more of a 4th amendment case. Commonwealth v. Roselli. Adjudicated guilty and put on probation for 2 years. Roselli flew his drone near a helicopter. He was charged with risking a catastrophe (felony) and recklessly endangering another person (misdemeanor). He did a plea deal. He pleaded nolo contedere to the misdemeanor and the prosecutor dropped the charges for the felony. He was put on probation for 2 years and to pay court costs. State v. Haddox – Haddox was flying his drone during “CMA Fest activities and the Predators watch party on Broadway.” He was arrested and charged with reckless endangerment and trespass. The “reckless endangerment charge stems from Haddox being unable to maintain line of sight of the drone and flying it over a ticketed event with thousands of persons present.” The two dockets are here. City of Seattle v. Skinner – First drone flyer ever to be sentenced to jail for flying a drone. He flew over a gay pride parade and the drone crashed into a woman. The woman who was injured is suing Skinner to recover damages for the crash. The Village of DeForest v. Alexei Strelchenko – Convicted by jury. He had two municipal citations for disorderly conduct in connection with flying a drone. The appeals court affirmed. GoPro received a class action shareholder lawsuit. The lawsuit surrounds statements made by the CEO regarding their drone which was later canceled. A second class action against GoPro was also filed.